When pursuing your business education, it’s easy to feel overwhelmed by all of the certification options. While there really is no “bad” choice in deciding to further your education, the right program for you depends on your ultimate career goals. Many people find that trying to decide between a CPA –Certified Public Accountant – certification and an MBA –Master of Business Administration – degree is stressful. Further complicating matters are specialized business programs, like a Master of Finance degree. Here’s a breakdown to help you decide. In short, when you complete a program for your CPA certification, it involves in-depth study of accounting principles, taxes, statutory requirements, financial principles and auditing. When you earn your CPA designation, you can open your own accounting business, or work for another firm as a consultant, accountant, or auditor, among other job titles. Studying for a traditional MBA expands the realm of coursework into non-financial areas of the business world, such as marketing, management and human resources. Most programs also include some finance related study, such as principles of accounting or finance, but not at the same depth and scope as a CPA program. However, some MBA programs allow for specialization in a specific area, such as finance. 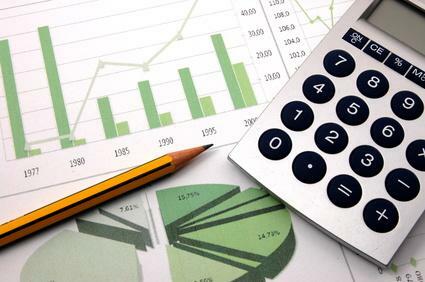 These programs do provide some of the in-depth exploration of finance and accounting topics covered in a CPA program, including cost analysis and planning and financial reporting. The requirements for earning a CPA or MBA differ greatly, primarily because CPA designations are determined on the state level by a local governing board, while individual institutions administer MBA programs. To earn a CPA certification, you will need to meet your state requirements for education and experience, as well as pass an exam administered by the governing board. The education requirements can often be met through college and graduate-level coursework – including the courses you take toward your MBA. Also, it is common that you’ll need to have a certain amount of work experience; anywhere from a few months to a few years, to qualify for the exam. MBA program requirements in terms of credit hours and specific coursework vary by institution. Earning the MBA in Finance not only sets you on the path to a CPA, should you opt for that designation, but it also provides you with the core knowledge and competencies that you need for any finance-related career. In addition to courses in general business principles and functions, expect to take courses in managerial finance, financial analysis and reporting, cost control, forecasting, and profit planning, and international economics and finance. Many programs also include an experience component through internships and externships, getting your on the road to the CPA requirements, if necessary. While the MBA in Finance may not cover all of the topics required for a CPA designation in-depth, it creates a strong foundation for further study, and opens the door to a wide-variety of career opportunities in finance, outside of the accounting realm. In fact, those who hold an MBA with any concentration – including finance – tend to have a slight advantage over those who only have a CPA, as their experience and knowledge base tends to be broader and more comprehensive. While CPAs certainly have valuable skills, those skills may not be much of an advantage in the general business realm. When you apply for jobs, employers tend to recognize a MBA over other types of degrees, including Master of Finance or Accounting. And unless you are applying for a job within the accounting field that requires a CPA, your MBA degree –and its broader scope of training and experience—is more likely to get you in the door than the CPA, especially for positions in finance, management, or other functions. As with any education decision, whether to pursue the CPA designation or the Master of Business Administration in Finance depends on your interests and ultimate career goals. For flexibility and a wide range of career options, though, studying for the MBA in Finance provides exceptional educational value for your time and money. This guest post article was written and provided by Lindsey Stinson who is pursuing an online finance MBA. She is a freelance writer and looks forward to finishing her finance MBA online early next year.